CAPITOL FELLOW: This time next week, we'll know the outcome. Three cheers for having the whole darned thing done with and moving ahead to a brighter future! There's something profoundly wrong with an economic system that sells homes cheaply, then takes them away from young families; that encourages wasteful energy consumption while fuel prices double and ExxonMobil serially breaks corporate profit records ($12 billion last quarter). And there's something immoral about a political order that allows its leaders to invade countries on pretext, then fails to hold them accountable; that end-runs international and constitutional principles on torture and incarcerating the innocent while endeavoring to globally spread its values. The Republican administration in Washington turned surpluses into deficits, peace into war, prosperity into chaos. It failed to address the rising costs of food, healthcare and college tuition, and ignored the decline of public education and the earth's atmosphere. It let Detroit collapse and New Orleans drown. In short, the Republicans that America elected screwed up the country, and it's time to take it back. With an abysmal record to run on, the GOP has taken to questioning the patriotism of its opponents, conducting a campaign of innuendo and guilt by association. The irresponsible fear-mongering and demagoguery had predictable results. When John McCain posed the rhetorical question "Who is Barack Obama?" amid the worst financial stress of our lifetimes, he riled the lynch mob. Given McCain supporters' use of Obama's middle name and the campaign's exaggeration of his relationship to a '60s radical, the demonization took its next illogical step. McCain's lurching, shambolic campaign and confused messaging—Obama's a terrorist, no he's a family man—is precisely what's not needed to calm the jangled nerves of consumers, bankers and nuclear wannabes around the planet at this critical juncture. McCain's hurried selection of a charming yet unqualified political extremist who abused official powers to settle a family matter exhibited the kind of rush to judgment that created the debacle in Iraq. Keep him away from that nuclear button! Luckily, there's an alternative in one of the brightest political lights to emerge on the national stage in decades. We chose Barack Obama early on, for his measured intelligence, cool persona and smart embrace of technology. 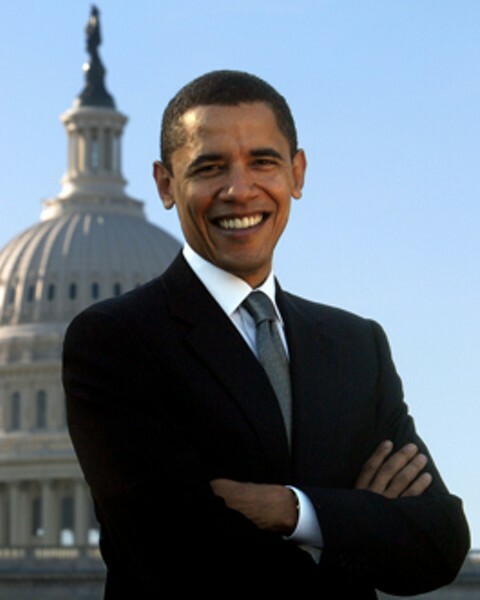 Sen. Obama's continuing success in winning over Americans of all colors, religions and economic classes reconfirms our early support for an Obama presidency. His focus on positive themes and inspirational messages displays an intuitive flair for leadership. He has run a better campaign, organizing neighborhood teams and making innovative use of modern digital tools. He has a better bench, with an experienced vice president and seasoned advisers. His formidable yet diverse funding base will leave him less beholden to special interests. His election offers a possibility to turn the page on racial division, Cold War thinking and widening class divides. Though the challenges are greater than ever, the recent wake-up calls present an opportunity, with inspired leadership, to finally tackle the healthcare crisis and achieve alternative energy breakthroughs that will reduce dependence on unstable foreign-oil-producing nations. Maybe he can't walk on water. But Obama is a unique talent who arrived at a critical moment in history. For America, the choice is clear.